Five months today since I smashed my wrist. Maybe I should have bought flowers to commemorate the day, but actually I did something far more exciting. In the weeks following the accident I seriously wondered if I would ever get back on my bike. It stayed locked up in the bike shelter, gradually getting dirtier and dustier while I looked at adult push scooters, and waited for my fracture to mend. I thought about selling my bike; unravelling the floral garland; removing the star shaped reflectors from the spokes; handing it over to a stranger along with my cycle clips, gloves and hi-viz jacket. It felt like betrayal. But I was scared. What would happen if I broke my wrist a second time? The talk of possible nerve damage when I was in A&E kept playing in a loop around my head. I’d got away with it this time, but a future when I couldn’t use my right hand made me cold with fear. The consultant was reassuring. With all the metal in my arm, even if I broke it again, it would be in a different place. Rather haughtily I was told they had done all the wondrous and wonderful work on my wrist exactly so I could ride my bike again. I gather I have been neglectful of MasterB’s public. With timing that I found infelicitous, my birthday post included an invitation from the hospital to attend the Older Persons’ Unit to check out the state of my bones. According to the government, I am a mere sprig of a thing, with plenty of years left on the clock before I can even think about drawing my pension. Yet in health terms, I am obviously considered to be heading for my final furlongs. The double think required to keep both those ideas compatible seems to demand the mixed metaphors. I loved Alice in Wonderland as a child, but never expected to be living in a world where the Duchess and the Queen of Hearts seemed relatively sensible. Anyway, this afternoon I had my appointment. I finished work at lunchtime, but it wasn’t worth going home, so having eaten, I had a mooch about the City, and did some window shopping for a new iron as I think mine is not going to last much longer. I don’t know if there’s an Older Irons’ Unit, but mine would definitely qualify. It was given to me by a neighbour who sold up to travel the wotld. That was around seventeen years ago. It was one of those days when you are aware of power tussles among the weather gods; first one then the other seizing the controls, and leaving us mere mortals taking sunglasses on and off, being buffeted by winds, drenched by sudden heavy showers, and warmed by the sun. I was dawdling along near the Monument when I realised the clouds were stacking up. I decided to head across the bridge to the safety of Guy’s Hospital. I’ll spare you the goriest photo featuring stitches and bruises. I sent it to Octavia, but she a) is a doctor, and b) while I was still digesting my breakfast, sent me a photo of dead rat her cat had caught . Once again the NHS did its stuff beautifully. I arrived at the fracture clinic and was despatched almost immediately to x-ray. Then a short wait and I saw the consultant, this time in shirt and tie and minus his blue scrubs. He was smiling. In moments he removed the smelly old plaster, and my new lizard skin was revealed. Though I suppose that should be old lizard skin. Suddenly the dinosaurs seem like near relatives. He showed me the x-rays; a sort of t-bar plate with lots of screws sticking out of it so it made me think of a broom. Everything seems to be healing nicely. He wouldn’t be drawn on whether I shall have a lump on my wrist or what degree of moevement I can hope to achieve in the future. But I am not a trained journalist for nothing. I asked a different question. Pushed, he said we could hope for 80-90% of my previous rotational skills. Back to the waiting room where a small child looked worriedly at my exposed arm. There was a list of things to be done. I had just about got my phone out when I was called to the plaster room. Ruth, the staff nurse who attended to me, is the daughter of a seamstress. It showed. I shouldn’t be surprised to see her fronting her own craft show on tv one of these days. Last Year I accepted the challenge to cycle every day of the month. I failed. The weather last year was wet. Very wet. Not having an exercise bike, I resorted to cycling by proxy, reading Andrew’s entertaining Good Vibrations. He’s off again this summer, so another wet April, I hope to comfort myself by reading the sequel. This year I signed up for the challenge again, but acknowledged there would be several days when I would not be on two wheels. Some days I’d be afloat, some days the bus would be more practical for what I need to do and where I need to go. So I am hoping today qualifies as two days. I was on my bike, so I get a nice tick for that. I also took some pictures. I have posted photos of this wonderful piece of topiary before, but that’s no reason not to celebrate it again. Also, this time there are tulips. I think I have found a gap in the holiday market. Escorted cycling weeks for non serious cyclists who are happy to do twenty-five to thirty miles a day on undemanding terrain, enjoying a bit of sightseeing, the odd beer, café or packed lunch, and a light evening meal. If I change some of the criteria, eg serious cyclists who want to ride for sixty miles each day and are not into sightseeing, but love gourmet meals in the evening, there are lots of matches. There are even matches for the same demographic group who want normal sized meals in the evening. But non-serious cyclists plus light evening meals seems to be a non-starter. Which is, coincidentally, just what I want. No starters is fine by me. I am also happy to skip pudding. I thoroughly enjoyed my cycling holiday initiation in the Netherlands last year. I learned lots; get proper J-Lo cycling shorts; apply lots of Vaseline or a better product to the nether regions before applying foot to pedal; do not expect your Dutch bike to behave like your crossbred Ridgeback; every evening spent over three course meals in local restaurants are not my thing. A couple of weeks ago, I posted this photograph of my great grandfather. He was born in 1858, and looks in his forties, so I reckoned the picture was just over a hundred years old. Sticking with the old photos. 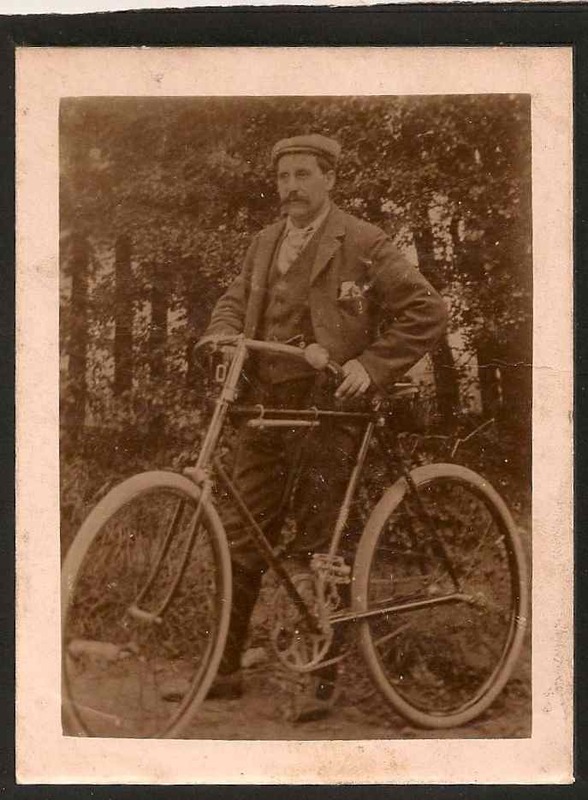 This one of my great grandfather, whose moustache matches his handlebars. 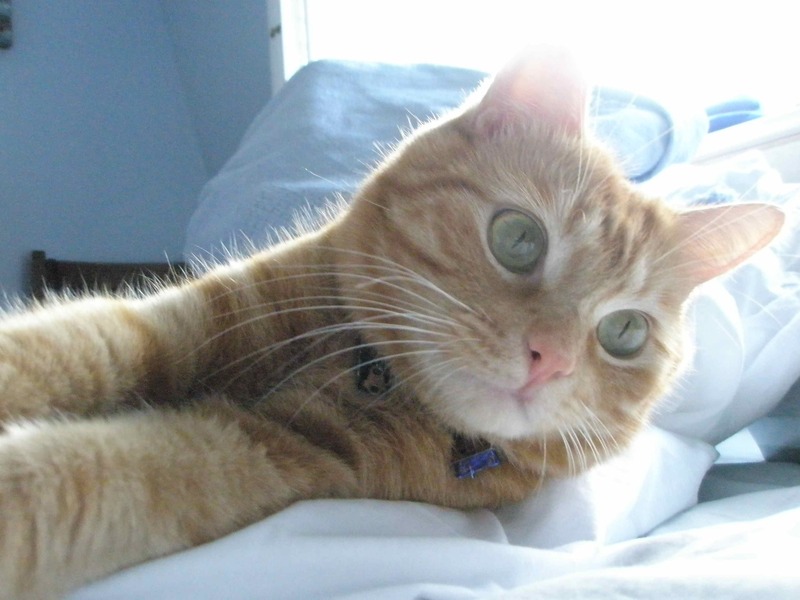 I like the way he stares off into the distance in an obviously posed photograph. I heard the accident before I saw it. A dull thud, followed by a high pitched cry, then silence. I know I slowed down. I don’t know why, but I was sure it was a cyclist. It was. When I reached the junction a woman was lying at the side of the road. She wasn’t moving. Another woman stood over her. There was a bicycle in the middle of the road. A young man was speaking urgently into a phone, asking for an ambulance. The woman in the road moved, moaned, “My head, oh my head.” The woman standing over her, spoke to her calmly, and advised her to stay still. She asked if she had any other pain. The woman in the road looked bewildered. she twisted, then yelped and reached for her leg. More people stopped. Two of them also called the emergency services. I decided to leave the scene. The driver was saying to someone at the side of the road, “The light was green wasn’t it?” I glanced at his car and saw the windscreen had caved in and shattered from the impact. I rode home soberly, reflecting that the woman in the road, who hadn’t been wearing a helmet, was lucky to be alive.